Many people take the term illness to identify a subjective experience of failed function, pain, distress, or unwellness. Disease, in contrast, is then an explanatory concept, or part of an explanatory account (Boorse, 1975). Or one might identify illnesses as constellations of signs and symptoms and diseases as illnesses joined to disease models or explanations, where the content of the illness is augmented by the phenomena found on the basis of a disease model. But to recognize a state of unwellness as a state of disease is already to have begun to explain it and to recast the meaning of the findings within an interpretive context. A constellation of phenomena is held to be recurrent, and if such a constellation of phenomena is encountered again in the future, it can be identified. A specific set of symptoms, for example, can be identified as a case of chronic fatigue. Diagnoses of syndromes, of recurrent patterns of signs and symptoms, allow predictions to be made (prognoses) as well as the management of outcomes (therapy). Such predictions and attempts at therapy can succeed even in the absence of causal explanations. During much of its history, medicine has been concerned with classifying patterns of signs and symptoms so that they can be recognized in the future with greater ease. Thomas Sydenham's classic Observationes medicae (1676) suggested classifying diseases in definite species, following the methods of botanists in classifying plants. His work was followed by Carolus Linnaeus's Genera morborum in auditorum usum (1759), François Boissier de Sauvages de la Croix's Nosologia methodica sistens morborum classes juxta Sydenhami mentem et botanicorum ordinem (1763), and William Cullen's Synopsis nosologiae methodicae (1769). These classifications functioned without causal explanations, though these were also given. Such medical descriptions and explanations at a clinical, phenomenological level are still employed whenever a new illness is identified for which a causal explanation is not yet forthcoming. For example, acquired immunodeficiency syndrome (AIDS) was first identified as a clinical, phenomenological entity. Medicine also explains health and disease by relating what is observed via general laws of physiology, anatomy, psychology, genetics, and so forth to other phenomena. The result is a two-tier account of diseases. The first tier is that of the observed constellations of phenomena, such as a clinical description of yellow fever. The second tier is that of a model advanced within the laboratory medical sciences to explain the observed clinical phenomena, such as an explanation of the clinical findings in yellow fever in terms of the effects of a group B arbovirus (a group of viruses transmitted by mosquitoes and ticks) that causes the death of essential cells in the liver. The laws of pathophysiology (the physiology of disordered function) and pathopsychology (the psychology of mental disease) relate new phenomena to the original clinical constellations of signs and symptoms. Some of these phenomena are then recognized as the causes of the illness. The concept of disease thus comes to identify disease models that support the search for unnoticed causal factors and expressions of disease. For example, Giovanni Battista Morgagni (1682—1771) in his De Sedibus et causis morborum per anatomen indagatis (1761) correlated clinical observations with postmortem findings, and Philippe Pinel (1745-1826) incorporated anatomical considerations into his Nosographie philosophique (1798), producing nosologies that embraced not only clinical observations, but anatomical considerations as well. This change in focus was strengthened when Marie-Franfois-Xavier Bichat (1771-1802) argued that constellations of symptoms and signs could be explained in terms of underlying pathological processes. According to Bichat, medical advances are best achieved through autopsies (Foucault). This shift to the study of pathological findings as a way to explain clinical observations was then supplemented by accounts drawn from microbiology, endocrinology, biochemistry, genetics, and other fields, producing contemporary explanations of illnesses. In the process of moving from accounts of illness that were predominantly clinical observations to accounts based on observable illnesses of the anatomy, the meanings of diseases were altered. Individuals who once were thought to die of acute indigestion were now understood to die of a myocardial infarction. The meanings of the phenomena observed (e.g., clinical signs and symptoms) were reinterpreted in terms of disease models. 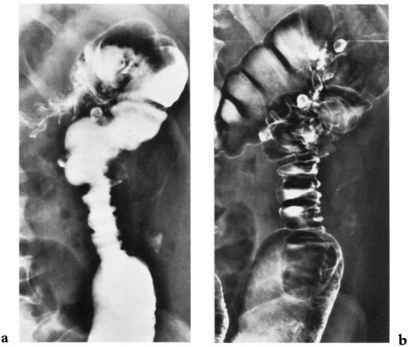 As a result of this recasting, medical complaints often came to be considered legitimate only to the extent that they had a demonstrable, underlying pathophysiological or pathoanatomical lesion. Finally, The Ultimate Guide To Changing Your Life Forever. 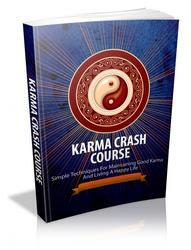 Get Your Hands On The Ultimate Guide For Improving Karma And Live A Life Of Fortune And Certainty. Discover How Ordinary People Can Live Extraordinary Lives Through Improving Their Karma.